The adult moths of this species have brown forewings with a pale patch in the middle and another on the hind-margin by the base, and some dark spots on the costa and along the margin. The hindwings are translucent with brown edges. The antennae are about as long than the forewings. The moths have a wingspan of about 1.5 cms. 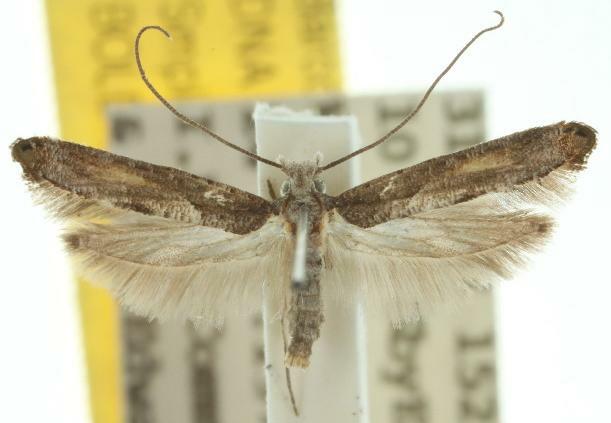 The moth is similar to that of Xyrosaris dryopa, but the palpi are different. Volume 47 (1923), p. 168.